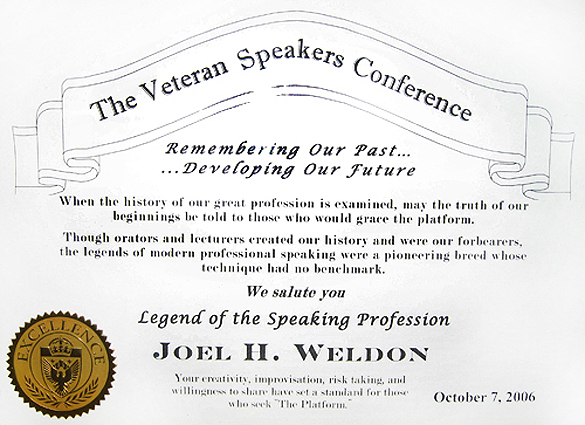 Joel is one of the only speakers to have earned four of the highest honors in the speaking profession — induction into the Speakers Hall of Fame, the coveted Communication & Leadership Award, The Golden Gavel and, in 2006, he was named "Legend of the Speaking Profession." The prestigious Golden Gavel is the highest award offered each year to just one individual who has distinguished himself in the field of communication and leadership. 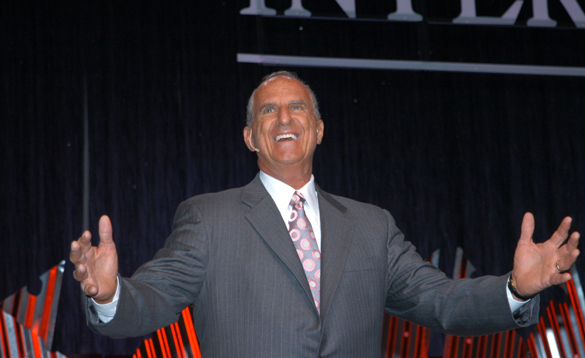 Previous Golden Gavel recipients include Dr. Norman Vincent Peale, Walter Cronkite, Lowell Thomas and Earl Nightingale. In 1989 Joel Weldon was selected to receive the Golden Gavel Award "for his contributions as a communicator and for his profound impact on corporate America, through his pursuit of excellence."